Lucasfilm and visionary director J.J. Abrams join forces to take you back again to a galaxy far, far away with “Star Wars: The Force Awakens,” airing on The ABC Television Network, SUNDAY, FEB. 17 (8:00 – 11:00 p.m. EST). Thirty years after the defeat of the Empire, Luke Skywalker has vanished and a new threat has risen: The First Order, led by the mysterious Supreme Leader Snoke and his dark side enforcer, Kylo Ren. General Leia Organa’s military force, the Resistance – and unlikely heroes brought together by fate – are the galaxy’s only hope at thwarting a new reign of evil. The film stars Harrison Ford, Mark Hamill, Carrie Fisher, Adam Driver, Daisy Ridley, John Boyega, Oscar Isaac, Lupita Nyong’o, Andy Serkis, Domhnall Gleeson, Anthony Daniels, Peter Mayhew and Max Von Sydow. Kathleen Kennedy, J.J. Abrams and Bryan Burk are producers with Tommy Harper and Jason McGatlin serving as executive producers. The screenplay is written by Lawrence Kasdan & J.J. Abrams and Michael Arndt. 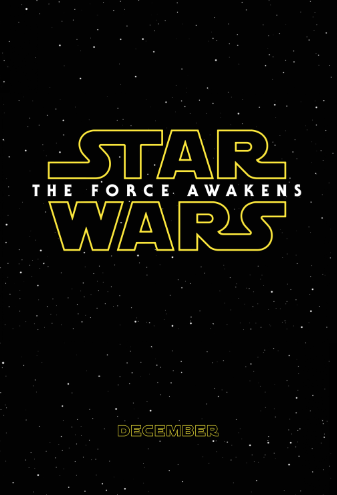 “Star Wars: The Force Awakens” was released in U.S. theaters on Dec. 18, 2015.